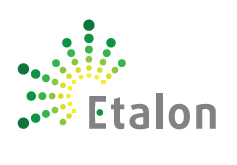 The objective of the project “ETALON” is the adaptation of energy harvesting methodologies for trackside and on-board signalling and communication. ETALON will contribute to the enhancement of train integrity functionalities, providing a suitable energy supply for on-board train integrity (particularly targeted at cases where trains do not have any power supply available on the wagons) and a robust radio communication system between vehicles that could be the basis for a train integrity check. ETALON will also contribute to the reduction of cost, providing an energy harvesting solution for Smart Radio connected wayside objects and implementing an off-board radio communication system with object controllers that could minimize trackside infrastructure, particularly cabling. Based on the analysis of the state-of-the-art of the existing and in-development technologies involved in the project, an iterative generation of requirements specification (Functional, System and Engineering Rules and Maintenance) will be developed. In addition, an economic evaluation on the impact of the Trackside Energy Harvesting solution for Smart Radio connected wayside objects will be carried out. Based on the outcome of these activities ETALON will specify, develop and validate a Radio Communication System and Energy Harvesting Solution for on-board Train Integrity and a new Trackside Energy Harvesting Solution. As a result, ETALON envisages the specification and development of energy harvesting solutions to support on-board train integrity and Smart Radio connected wayside objects which are economically viable and suitable, taking into consideration onboard and offboard radio communication solutions, safety critical aspects as well as reliability and availability in difficult rail environments.